Your first home will always be a special place and will be a special time in your life! Buying a home can also be stressful and worrisome even if it is your first or your 10th home! As first-time home buyers, there are some things that can help the process go much more smoothly. 1. RELAX! I know, easier said than done. However, unnecessary worry isn't good for anyone. If you have a great real estate agent in your corner as your Buyer's Agent, this will help cut-down on a lot of worry. A great agent will assist you with the entire process from start to finish! 2. KNOW WHAT YOU CAN AFFORD! There is nothing more frustrating for anyone than to begin looking at properties before knowing what you are approved for. THE most crucial step in the home-buying process is to have your financial affairs in order AND go through the Pre-Approval process PRIOR to looking for a home. Find a good Lending partner from the get-go! 3. KNOW WHAT YOU WANT! Make a list of your "have to haves" and your "wish list" items. Decide early on what you know you will not compromise on such as the number of bedrooms, size of home, etc. Also knowing things such as location, commute to work, shopping and schools is very important as well. 4. BECOME FAMILIAR WITH YOUR MARKET AREA. Your real estate agent can assist you in this area big time. Studying the neighborhoods, sales prices, days on market and trends can help you nail down an area that works for you. Spend some time on your local MLS so you will understand the nuances of your area. 5. FAMILIARIZE YOURSELF WITH THE BUYING PROCESS. Again, your buyer's agent will be able to help you in this area. I have a great resource for my home buyer's which is a guide that takes them step-by-step through the process. Spending a bit of time understanding the process can help take the stress out of this. 6. EVALUATE BOTH RESALE & NEW CONSTRUCTION. Many times clients believe they want one or the other. It isn't until they really look at the pros and cons of both types of property before they feel confident in what works best for them. Take some time to visit some new home sales offices with many different builders. Just remember: if you are working with a buyer's agent, TELL the sales person that you ARE working with a real estate agent! 7. DECIDE WHAT WORKS FOR YOU! What I mean here is, many first-time home buyers rely on their "friends & family" for real estate advice. Unless they are in the business in the area you are looking, they are simply not the best to go to for advice. YOU know what you need. I have seen way too many folks end up losing a home THEY wanted because they listened to well intentioned but ill-advised advice from a friend or family member. 8. HAVE A MEETING OF THE MINDS. If you are purchasing a home with a spouse, family member or roommate, having a meeting of the minds BEFORE you begin the process is key. The purpose of a meeting such as this is to make sure you both are on the SAME page. It is never fun to have a battle of the wills in the middle of the home-buying process. 9. BE REALISTIC. The home price is not the only factor that you should consider. Taxes, insurance, utility costs, moving costs, home maintenance, HOA fees are just a few of the realities of owning a home. It is vital that you know this information prior to buying. 10. DON'T FORGET TO HAVE FUN! No matter what, having a little FUN throughout the process will help make this important time in your life much more enjoyable! Keeping it too real and serious can give you a bad taste in your mouth. Understand that you will need to compromise, be a little flexible and to expect a few frustrations along the way. A great attitude going in to the process will take you a long way. Home ownership is a great privilege! By doing a little homework prior to the process can help your dreams become a true reality! It can be a very exciting time in your life! 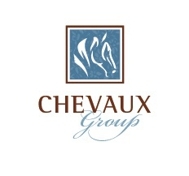 CHEVAUX Group LOVES assisting first-time buyers! Paula is a former high school teacher who has helped countless of her former students get into their first home. She will walk you step-by-step through the process! Call her today! Why Using a Buyer's Agent for New Home Construction is Important! IS IT BEST FOR A HOMEBUYER TO USE THE BUILDER'S LENDER? WHY THE INFORMATION ABOUT BROKERAGE SERVICES MATTERS! PROTECT YOUR PETS WHEN MOVING!